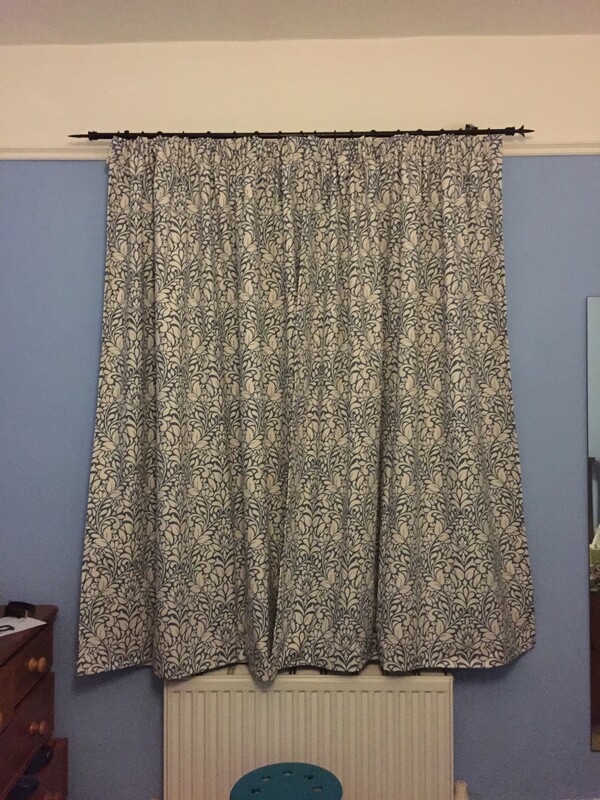 Home sewing | More blue fabric? I’d just bought (more than) enough fabric to cover the sofa in my flat. I finally did something about it. 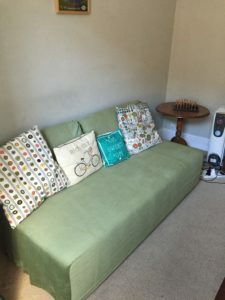 A sofa cover; more accurately, a cover for a base, and two covers for back cushions. No, it’s green. This was a conscious decision for a flat two homes ago, but remarkably still works in the place we live in now. The fabric is green corduroy that I bought from Fancy Silk Store. I’m fairly certain that they couldn’t believe I wanted to buy as much as I did (if memory serves, I predicted I’d need about 7 metres. I didn’t). It’s a DIY / self-draft, based on a net for the base and two sausage shapes with pillow case closures for the back cushion. Before and after. The difference is amazing. 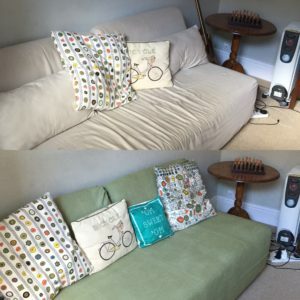 It has made such a difference to the living room to put a new cover on the sofa, I really underestimated the impact it would have. I’m also amazed at both how quickly it came together (4 hours from measuring out pieces to being finished) and at how little fabric I actually needed (I reckon about 4m in total). That it took me so long to get around to doing something so simple. 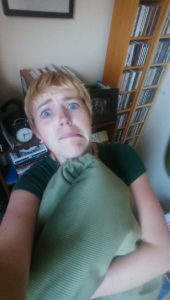 I could have made one a year and had three different sofa covers in between times if I’d just pulled my finger out. Now I know how easy it is, I think I would, although it’ll be at least a year or two before I do as these things are designed to be long lasting. *I’m so sorry for how bad this pun is. It was literally the best I could come up with. If I had a school report for pun writing, right now it would say “must try harder”. Except the teacher would have come up with a punnier way to express that. I just sort of made one up. Basically, rectangles, hemmed and then gathered at the top. 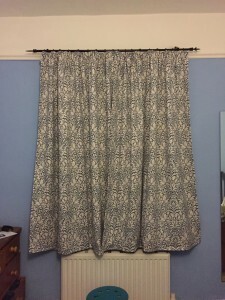 Finally getting some curtains in our bedroom; for the last year we’ve just had some nasty white Venetian blinds that were both ugly and ineffective. Not if I can help it, but I have a feeling that I’ll need to when we decorate the dining room…..